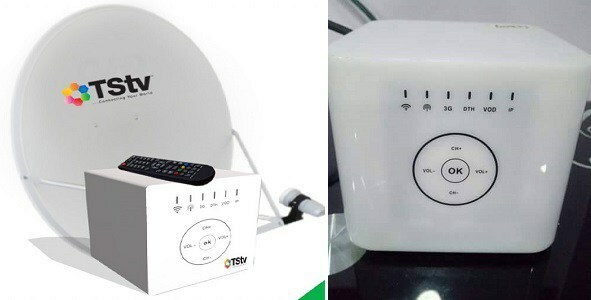 Tstv Reacts On Shortage Of Sassy Decoders And Accessories as we are all aware of the distribution of Sassy Decoders nationwide on April 1, 2018 as they promised. But due to some challenges, they couldn't meet up withdemands as some of the accessories within their reach for the said time couldn't serve the huge demand from customers. ☞ We sincerely apologise for the shortage of TSTV Sassy accessories (9m dish, LNB and 20m cable) nationwide. This was due to some challenges faced last week by the logistics company contracted to destribute the accesories. We already have thousands of decoders distributed nationwide and thousands more will be delivered to dealers offices next week. We have assurances that destribution of accessories would resume from tuesday 10th of April, 2018. For those who have bought decoders without accessories, kindly visit your dealers from Tuesday for your accessories and your accesories will be given to you free. Due to this awful delay, the management of TSTV have decided that the 55 TV channels currently running on TSTV will remain free and unencrypted till May 15th 2017. 10 more channels will be added next week to make it 65. Please note that TSTV decoders and accessories sells for 3,500 and installation cost remains2,500 nationwide. For Sports Lovers,TSTV will be launching Grand Sports 1 Xtra on the 22nd of April 2018. Grande Sports 1 Xtra HD (GS 1 Xtra) is a 24 hour channel dedicated to the upcoming World Cup. GS 1 Xtra will be bringing you the latest updates leading to the FIFA world cup Russia 2018 in real time. The channel will be free to view for one month on TSTV decoders. Dexterity sales will start soon once we have completed our on going nationwide tests and full integration of our data hubs nationwide. We can guarantee everyone that TSTV will revolutionize and create a new modelfor the entire pay TV market in Africa.